This Pet Portrait was for my Mums friend the lovely Olyv, as some of you may already know my Mum lives in Sunny Pembrokeshire so whilst up there with the family at Christmas my Mum, my sister and I popped over (to what felt like the depths of Wales!!) to meet Mallie. We turned up and were greeted by a very waggy tail and a few cuddles from Mallie, not sure she would make a very good guard dog! Even though it was about 11 in the morning we had a cheeky glass of wine (well it was Christmas time remember!) before I got the camera out. I took tons of pictures while we were there and after what I think may have been the third glass of wine Mallie had settled so I could get some good photos of her relaxed at home, I was certainly relaxed by this point! Before we left though we had to play the obligatory game of ball with Mallie, I believe even the Post Man and delivery drivers have a quick game with Mallie while they're there and she certainly looked in her element, although she was still trying to play as we were getting in the car. 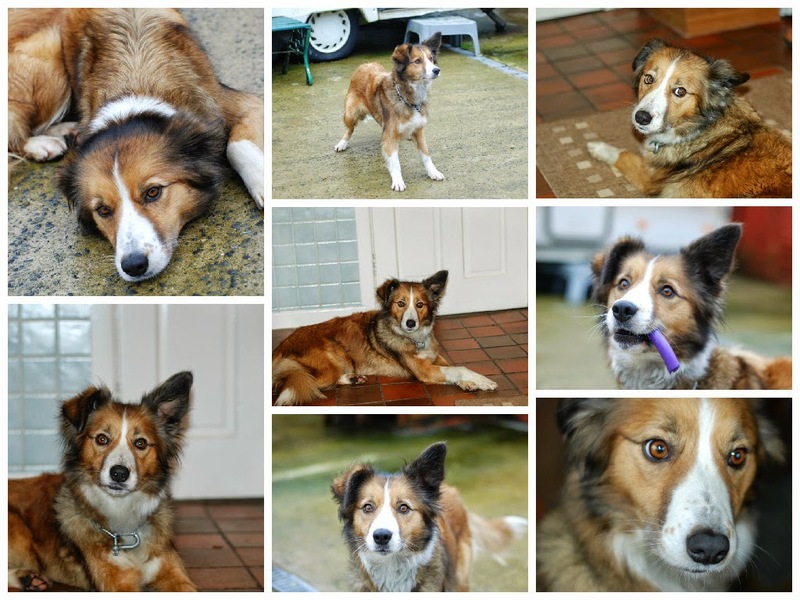 After we ate my Mum out of house and home we all headed back to Dorset and I had some lovely photos of Mallie to get started on the painting in the New Year. 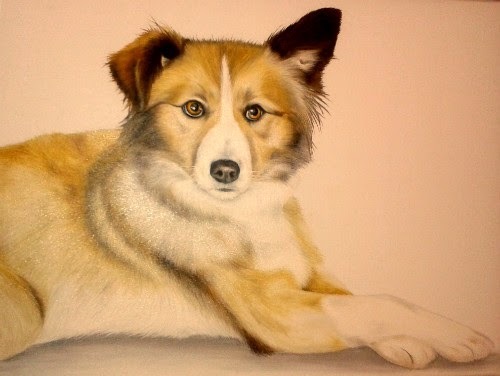 One thing that I was really looking forward to with this painting was the colours, Mallies coat has so many different shades of golden browns and reds I knew it would be a challenge but one I was looking forward to. I finished Mallie in January but instead of posting up to Wales my Mum was heading down here in February so Olyv was happy to wait and have it personally delivered by my lovely Mum! She was over the moon when Mum dropped it round saying ‘I had captured her scruffy nature and her expression, it looked as if you could stroke the painting' she couldn't stop looking at it and her husband Arthurs words were (in a strong welsh accent) ‘Well, well that’s good’ which is quite the compliment I believe! Although my Mum may be slightly biased she did recommend me to her friend, this has to be one of the main ways people find me for Pet Portraits and it's great for me to know that people are spreading the word, so don't forget if you know someone who would love a Pet Portrait then please feel free to pass on my details!